Vector gas mask is accented with spikes and black leather trim. 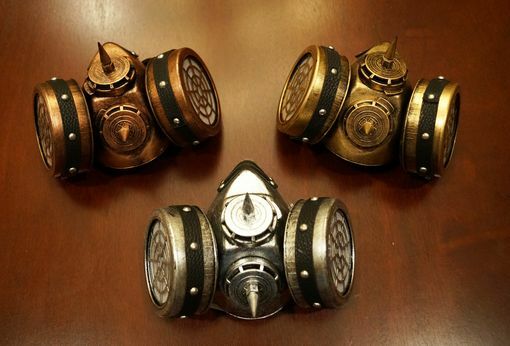 Gas mask is available in 3 colors. This is a costume accessory and not to be used a real functioning gas mask.